Please upgrade to a browser that supports W3 standards, such as Chromium, Firefox, Edge, or Safari. 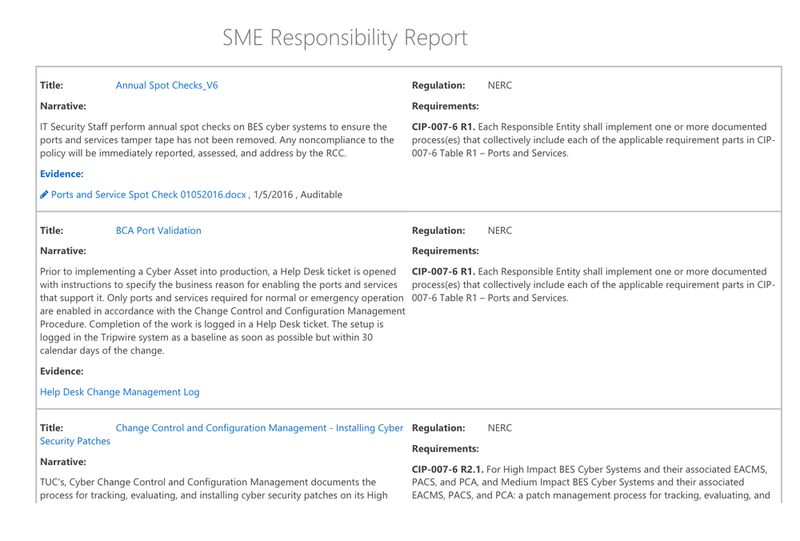 The Audit Package Creator is a SharePoint application that will revolutionize the way you go about creating regulatory submittals for audits, such as Reliability Standards Audit Worksheets (RSAW), required by NERC. When integrated as part of the Cooper Compliance Global Audit-Ready Application suite, this application lets you choose the desired regulation, and then create a complete, professional audit package filing in under one minute. The simplicity and ease-of-use of this app cannot be matched, saving you time and money. Supports numerous standards sets and RSAW Document types.